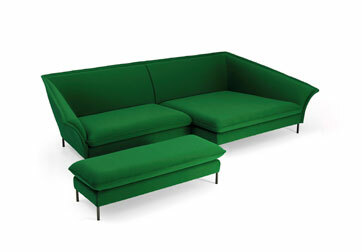 Sofa characterised by its smoothness and the asymmetry of its shapes, with the arms curving outwards asymmetrically. One half the sofa seat is much deeper than the other half. It is complemented with a matching stool. Nature and organic shapes are part of the inspiration behind this collection. It functions as a central table, a dining table or one for small seminars or meetings. The structure is metallic with tabletop in different materials, as for example wood. 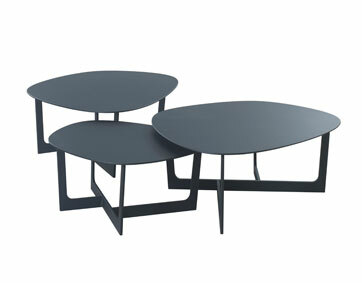 The coffee tables can be placed independently, but their expressiveness is strengthened if they are grouped into islands. They are in black-lacquered aluminium. Armchair made from a single piece of polyester felt that, through a unique modeling process, acquires stiffness and a three-dimensions shape with inherent irregularities and folds that make each piece unique. Collection of vinyl floor lining developed specifically for high-traffic areas. The range of colors in the collection reflects the artisan’s world, from fired clay and dark navy blue to smoky red wax. The collection also includes two striped designs. The visual concept for announcing the new collection is inspired in the photograph of a dancer which has been divided into different colored strips to represent the eight products of the collection. 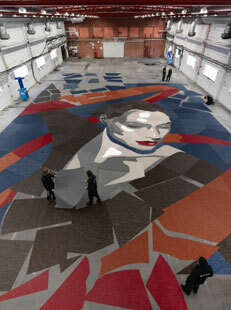 The image of the dancer, blown up to create a huge puzzle, has been cut into 300 different pieces. It is available in both rolls and standard tiles that create a pattern. Modular sofa system designed for contract. It is characterized by the backrest buttons, which can be combined in different colours to give a playful style to the sofa. The purity of lines of its back part allows it to be used for delimiting interior spaces. The different units can be combined in a multitude of variations. 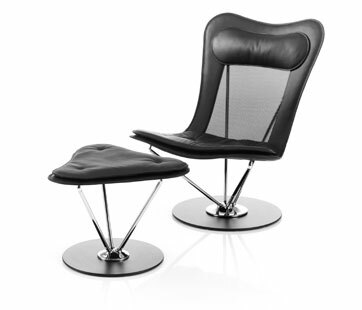 With seats in different widths and optional armrests, almost anything is possible. Very practical table for the home and workspaces requiring the space to be frequently adapted. It is easily folded and stored. It is made form aluminium. Its designers wanted to resolve the practical problems of folding tables. 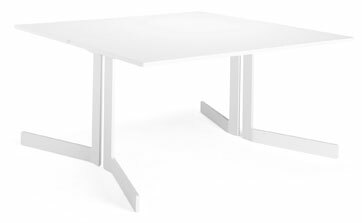 Its design allows the table to be folded and unfolded without having to turn it around. It thus provides better ergonomic handling, and the table lasts longer. Flexible modular system that adds aesthetic and functional value to the home. Not just is it an element that occupies a wall; it also allows the home to be organized in a personal way, maintaining the depth and height of the room and providing a touch of personality. It can be fitted with wheels, legs or be hung from the wall. It consists of five units that can be combined according to need. Wide range of colours. Wall-hanging work terminal designed especially for workspaces with a high degree of mobility, as for example hotel receptions, hospitals, schools and universities, or as part of a home office. Made from veneered or laminated wood, with the backing in recyclable wood fiber, upholstered in fabric underneath which a fine metal sheet has been inserted whose section can be used as a notice board. A notably light swivel chair. When sitting, one feels as if floating thanks to the construction in steel tubes that extend from a rotating aluminium section anchored in the floor that easily allows the tiniest movement of the sitting person to be followed. The armchair is made from leather and mesh. It includes a neck rest and is complemented with a stool. New model from the collection, the result of observing the human body’s need to remain in constant movement. Its designer was inspired in a saddle to develop a seat that provides optimal support and allows for multiple sitting positions. Its manufacture has used recycled materials to minimize the chair’s carbon footprint, making it an example of environmentally friendly design. 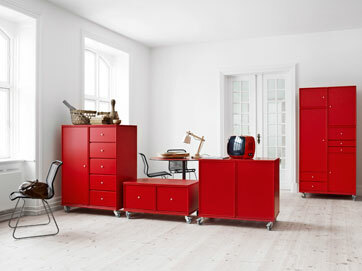 It comes in five colors: blue, yellow, red, black and light gray, as well as upholstered. 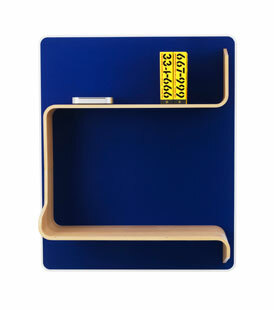 The base is available in aluminium, in black, silver or gloss or blue or black plastic. 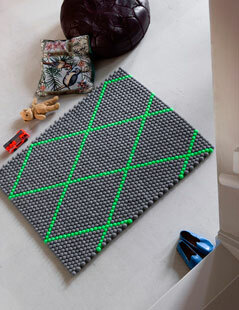 This collection of rugs is made from 100% felt wool and has more than a thousand balls in a rug. The felt balls are hand-sewn. Available in three measurements. Collection of biodegradable tiles made from wood, cement and water, in a wide variety of colours to compose murals that improve acoustics and insulate from sound. The manufacturing process is very simple: the wood is splintered and defibred to make wood wool, which is mixed with cement and water. 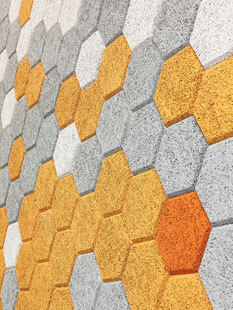 The mass is left to set in hexagonal moulds in different sizes and is then coloured in the range of available hues. Resistant to fire and to damp. Fredrik Färgs new collection Succession reminds us – in shape and spirit – of animals from a time long gone. Dressed in leather and textile, the stools was brought to life through a series of processes. The base is made of an innovative composition of materials which has been dressed in textile and leather and had ropes tied around it before being baked. The results when you cut away the rope is that of a pattern without seams, as brutal as it is sophisticated and refined. The stools becomes like living furniture populating our home. Flat non-dazzle LED for interiors. This is a collection of six high-power LEDs mounted on an ultra-fine disc whose light shapes incorporate a palette of sophisticated colours and premium-quality materials, easy to combine and adapt to any interior. Available with dimmer switch. Armchair designed for domestic environments or any other type of space, thanks to its aesthetic of marked contrasts. Its design is inspired in the style and proposals from the nineteen-fifties, but with a contemporary air. The interface between backrest, rails and back legs give it a forceful expression. 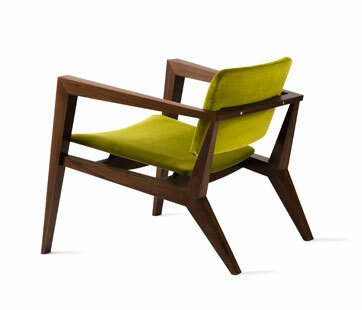 Armchair in oak or walnut. Upholstered seat and backrest. 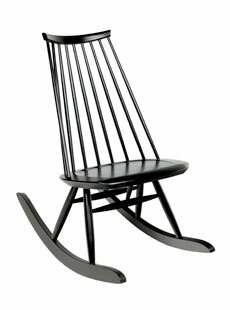 Re-edition of one of the most emblematic products in Finnish design from the ‘fifties by the designer Ilmari Tapiovaara. The chair is made from solid birch wood finished in black or white. Also in a rocking chair version. 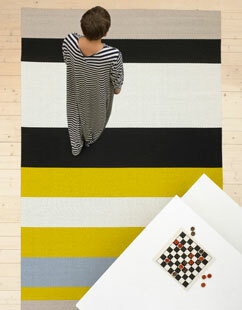 Collection of rugs in variously-coloured stripes. The wide stripes structure the space in an innovative way and offer numerous solutions for playing with the rest of the decoration. It can be used in residential and contract environments. Antistatic. Suitable for people with allergies. 86% spun paper (weave), 14% cotton (weft). Maximum width is 330 cm and maximum length is 10 m.